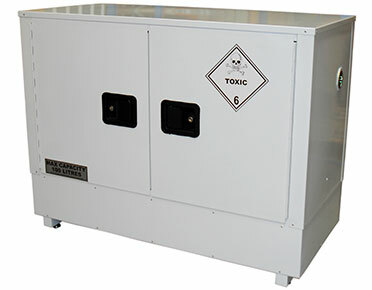 Complies with Australian Standard AS4452 – The storage and handling of toxic substances. 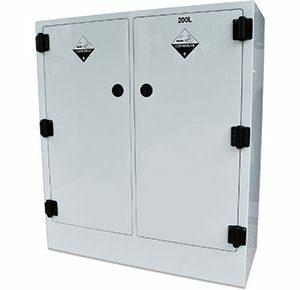 The 100L cabinet includes 2 self closing doors and 2 shelves (fixed base and 1 adjustable shelf). Heavy duty steel construction with durable UV-stabilised high gloss white powder coat finish. Cabinet has adjustable feet for leveling on uneven surfaces. Door features flush handle with key lock. Vent ports with integral flash arrestors fitted on each side. Features a suspended perforated floor and spill containment sump. Grounding connector built on the outside panel for easy earthing. 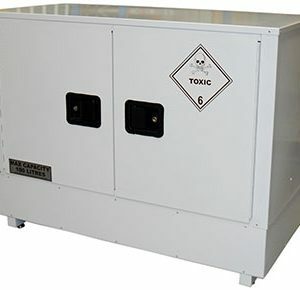 All toxic substances cabinets are compliant for the storage of pesticides. 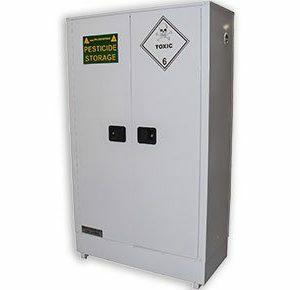 Each cabinet includes a Danger Pesticide Storage label. Safety and warning signage in accordance with Australian Standards. 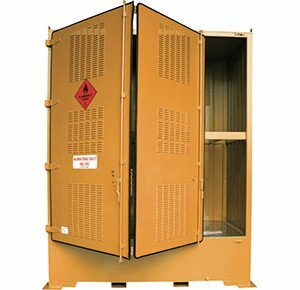 © 2018 Whole Sale Safety Storage. All Rights Reserved.